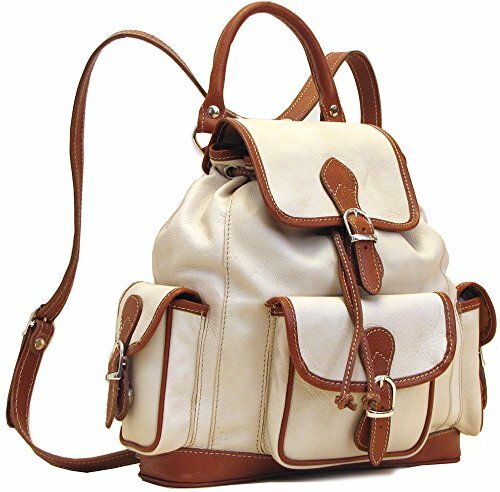 Toscana Pack is made with Floto Italian calfskin leather and comes in Ivory w/ Brown Trim and Brown. Made in Italy. Front Gusste Pocket - 6" x 6" x 1"